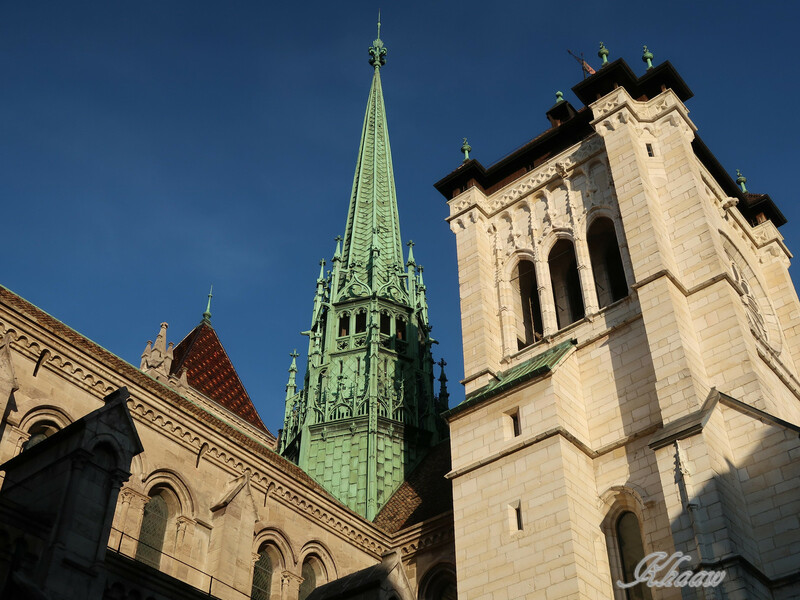 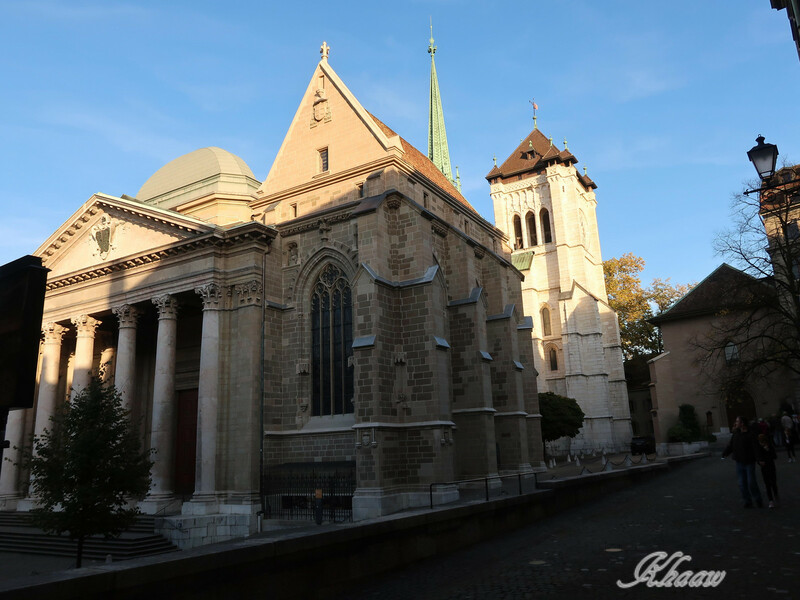 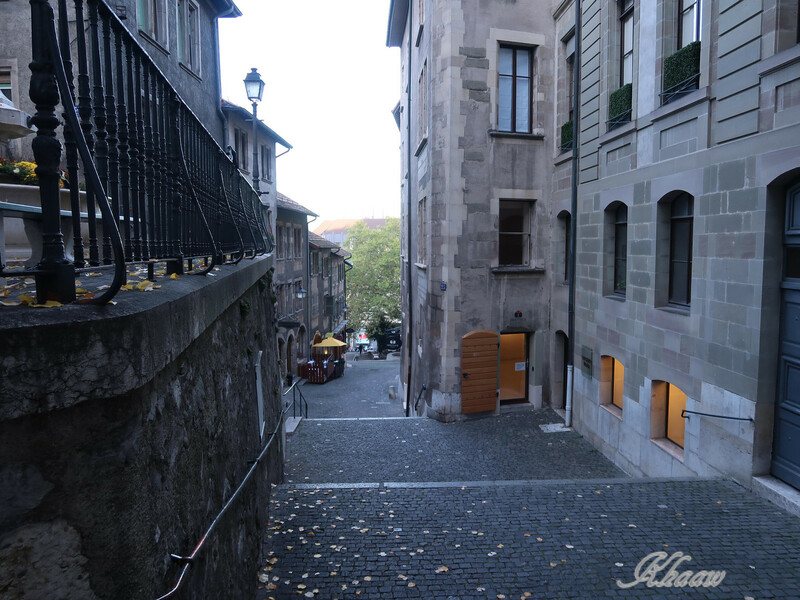 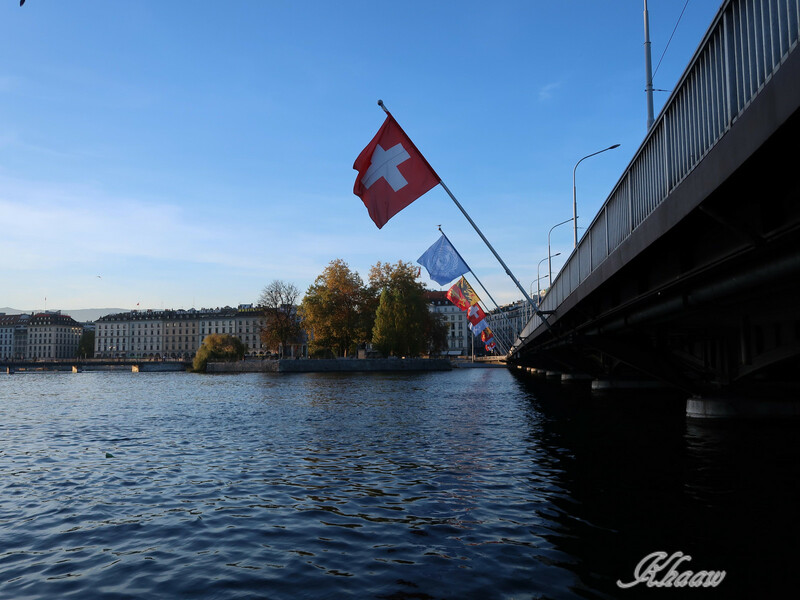 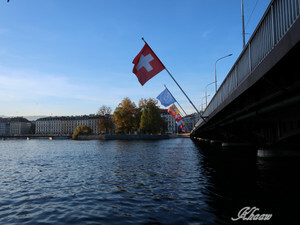 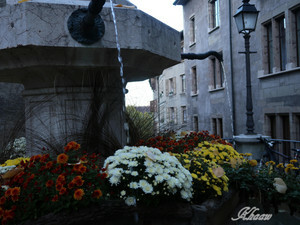 I had a chance to stroll in a old town of Geneva short time in evening time during my one-week meeting stay. 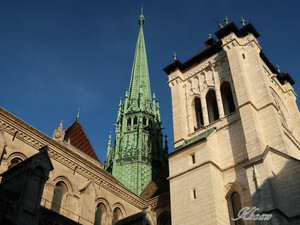 On top of the hill, St. Peter's Cathedral was beautiful against sunset light. 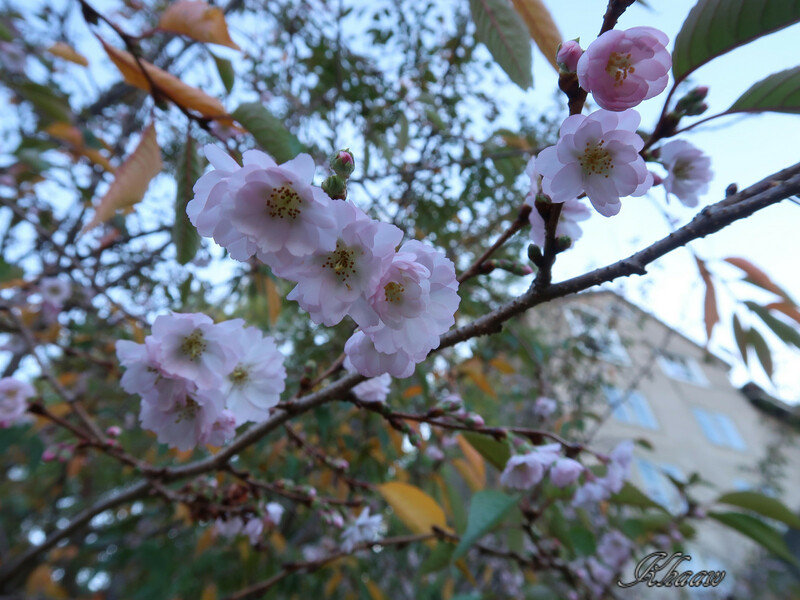 During my rambling around the Cathedral, I found autumn a cherry blossom “October sakura” unexpectedly, in a backyard of the Cathedral. I am not sure it could be October sakura but I believe it could be one of the cherry variety at least. 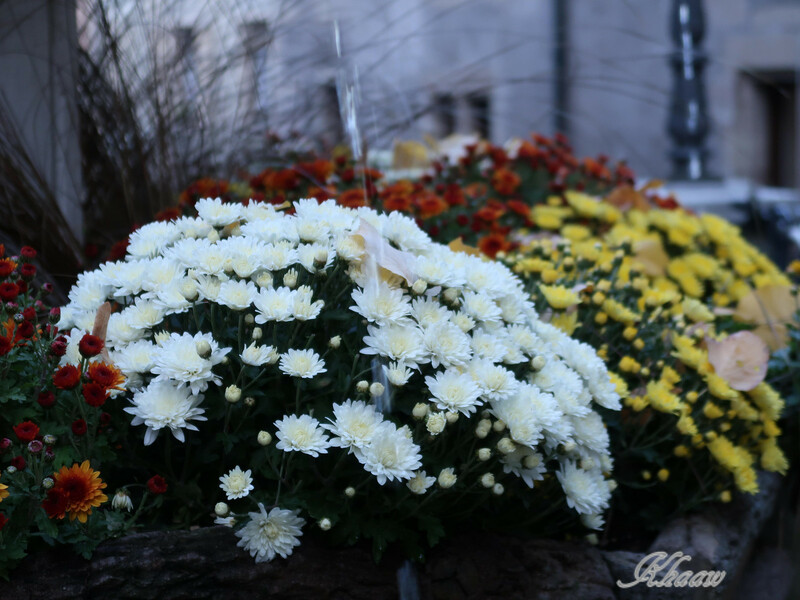 Then I walked down though an alley between old buildings, I found small fountain place with Florist's daisy; Chrysanthemum morifolium. 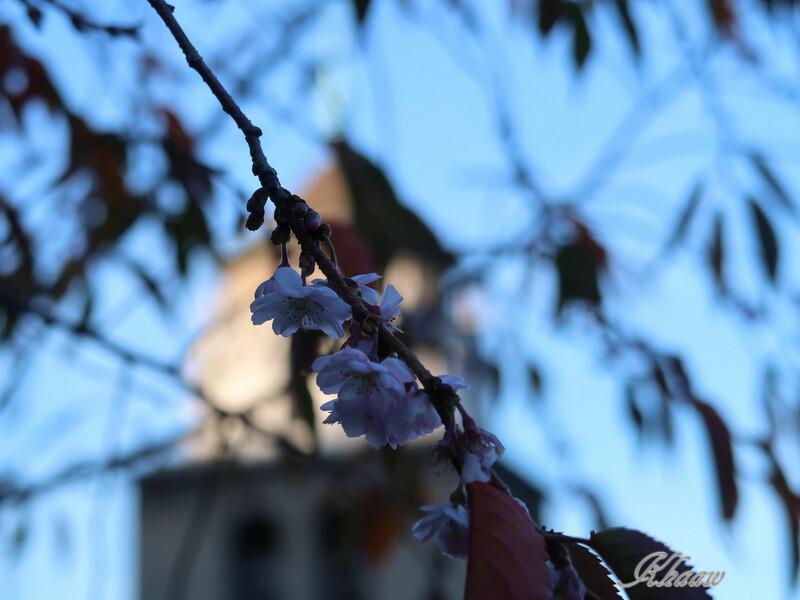 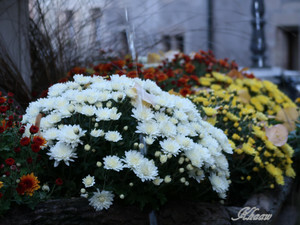 I was not expected to see cherry blossom and Chrisanthemum on same time in Geneva. 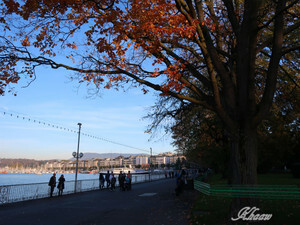 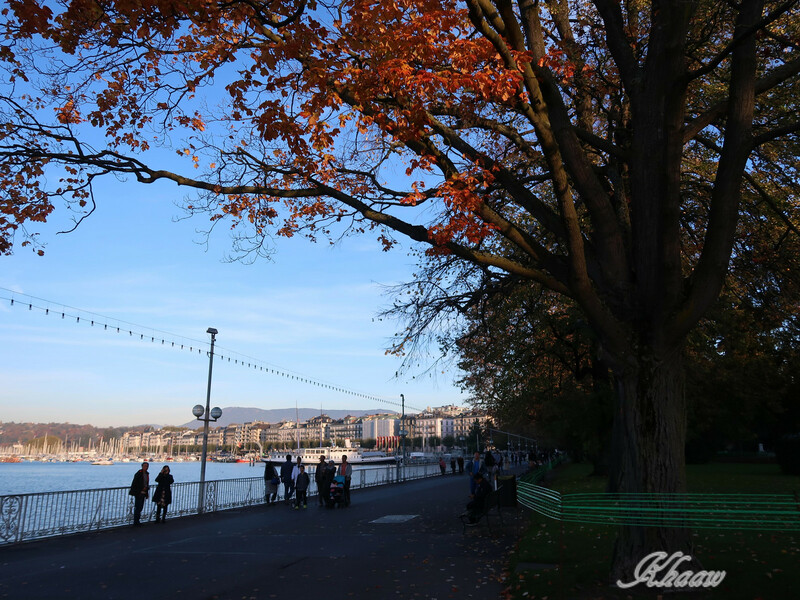 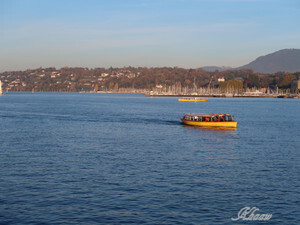 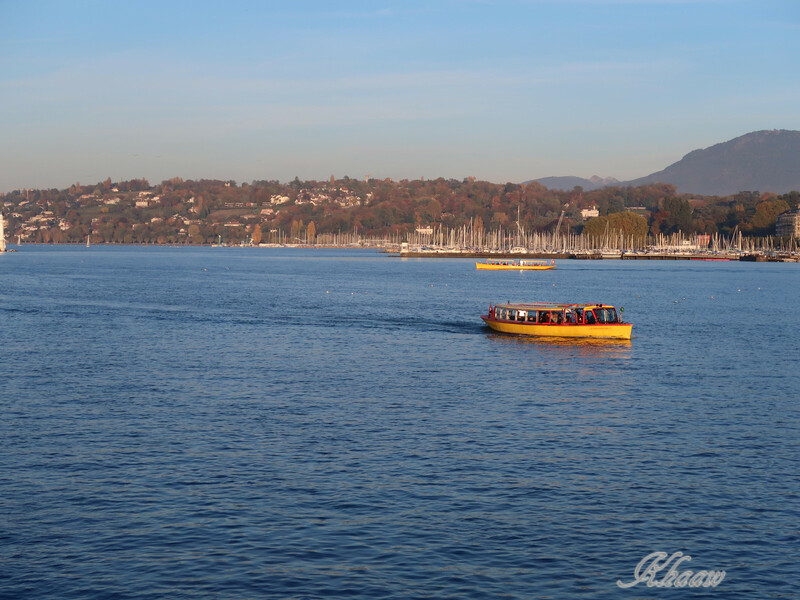 I walked around peaceful beach of Lake Geneva in evening time, and relaxed and recharged my energy to the meeting of next day. 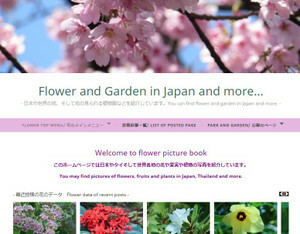 花や植物の名前などで色の変わったところをクリックすれば、別のホームページにリンクして、もう少し詳しいデータや写真が見られます。You can find more data or pictures in my another website by clicking name of flowers in changed color.